Nintendo Co. cut its outlook for annual Switch shipments, the strongest sign yet that the hybrid console is struggling to attract a wider swath of users and become a worthy successor to the Wii. Shares of Nintendo fell as much as 6.9 percent after it forecast 17 million Switch shipments for the fiscal year through March, compared with its prior outlook for 20 million units and analysts’ average prediction for 18 million. The revision comes even as the Kyoto-based company reported better-than-projected profit during the December holiday shopping quarter. The big question is whether Nintendo will have to cut the Switch’s ¥29,980 (about $300) price tag to get more people to buy the device, which can be used at home or on the go. Like the PlayStation and Xbox consoles, more hardware users fuels greater demand for software, creating a virtuous cycle of demand. But so far, President Shuntaro Furukawa hasn’t succeeded in expanding the Switch beyond a base of loyal customers. Nintendo may already be thinking of new ways to attract Switch buyers. The Nikkei newspaper reported Friday that the company is planning to introduce a compact model by March 2020. A representative for Nintendo declined to comment. Nintendo’s stock, which fell 29 percent in 2018, had been climbing on optimism that the company will be able to stage a recovery. The shares were down 5.9 percent mid-morning in Tokyo on Friday. 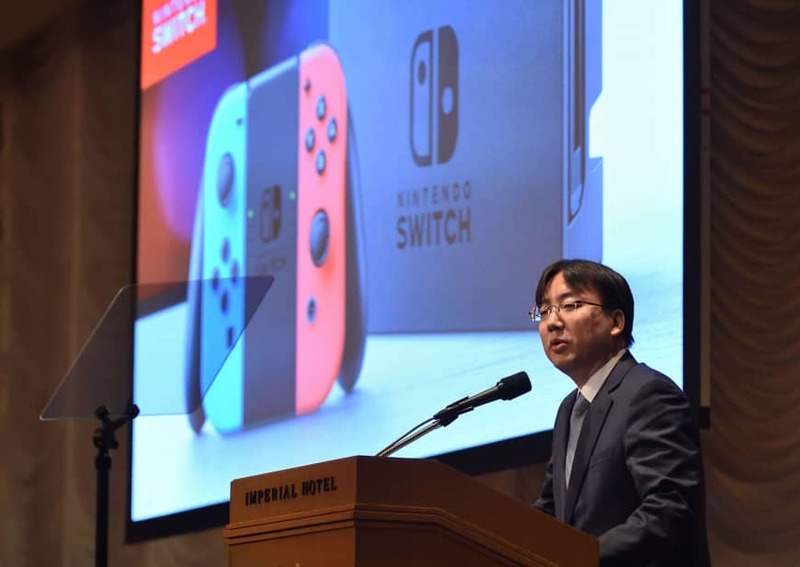 Although Nintendo delivered profits and kept its earnings outlook for the fiscal year intact, Furukawa said more work was needed to keep sales momentum going for the Switch. Nintendo shipped 9.4 million of the consoles in the latest quarter, just above what analysts had been predicting. 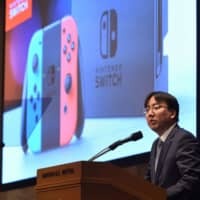 “We didn’t put in enough effort to communicate the appeal of Switch hardware and software,” Furukawa said in a briefing after the results. Operating profit was ¥158.6 billion ($1.5 billion) in the latest quarter. Analysts were projecting ¥147 billion on average, according to estimates compiled by Bloomberg. Revenue rose 26 percent to ¥608 billion. The game-maker kept its operating profit outlook of ¥225 billion for the current fiscal year. That compares with analysts’ prediction for ¥267 billion. Back in May, analysts predicted Nintendo would sell 21 million Switch units this year, but the average projection steadily decreased to 18 million. Nintendo shipped 53 million software units during the quarter, double from a year ago. The company raised its guidance to 110 million games this fiscal year, up from 100 million. The biggest hits were “Super Smash Bros. Ultimate,” which has shipped 12 million units since its release on Dec. 7. “Let’s Go Pikachu/Eevee,” released Nov. 16, saw 10 million units. Nintendo pushed back the release of “Mario Kart Tour” to summer in Japan from March, an unexpected delay. The smartphone game has the potential to become the company’s highest-earning mobile title, according to Newzoo analyst Jelle Kooistra. “The franchise has more mainstream appeal than any other Nintendo title, and its fast-paced gameplay is a great fit for mobile,” he wrote in a report this month. Smartphone revenue during the quarter grew 31 percent to ¥14.6 billion, driven by a new title, “Dragalia Lost,” which was released in September. Even so, the game’s co-developer, CyberAgent Inc., on Wednesday slashed its earnings outlook and froze hiring, saying results were below expectations. The title generated ¥3 billion in revenue in its first month, but has since struggled to monetize users, executives said. While the mobile games business remains challenging, Nintendo will keep seeking partners, Furukawa said at a briefing Friday. The company’s 8-year-old 3DS business continued to struggle, with revenue shrinking to ¥27 billion in the latest quarter, down 71 percent from a year ago. It was the first holiday season for the handheld system without a new Pokemon game, which was instead released on the Switch. Nintendo cut its forecast for 3DS shipments to 2.6 million units, and software to 13 million, for the current fiscal year. Nintendo’s operating margin improved to 26 percent from 24 percent, aided by higher sales through its more-profitable online shop, with digital revenue almost doubling from a year ago to ¥84.2 billion. That was also boosted by the launch of its new online service in late September, which requires users pay about $20 a year for access to multiplayer features.